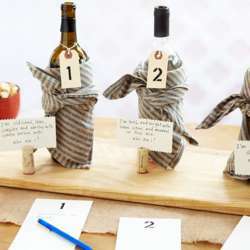 Cheese & Wine Blind Tasting. The cheese-wine evenings have restarted at Thessaloniki internations. After last year's nights tyrognosias-cheese tasting, now in Protected content start with blind tests, trials. Five yellow hard Greek sheep cheese (Gruyere, Parmesan and some surprises) will be under a blind test with five corresponding foreign (pecorino, manchengo and some surprises). 3) We uncover them, rewind them and discuss them while enjoying a glass of high quality wine. Presented by food journalist Petdopoulos Triantafyllos and oenologist Anestis Haitides. With us there will be cheesemakers and cheese professionals to reveal their secrets to us. Limited seats,you have to reconfirm your attendance before 22nd of january, with sms or call in my number and deposit of the ticket.